Hello, thank you for your amazing recipe. Can i ask where you ordered moon copper Cutipol cutlery? I can’t find the copper one anywhere online. Thank you for your lovely comment. I just had a quick look on the Cutipol site and the ‘Moon’ series is listed on their site but the copper finish does not appear to be available at the moment. I just called MUD Australia (magnificent ceramics!) in London and they have the copper set available. I understand that they also stock it in their SOHO, NY store (tel: +1 646 590 1964) which may be better for you depending on your location. I tried to give them a buzz but they open at 11am. Let me know how you go! If you make the panna cotta, I’d love to see a photograph! Have a great day! 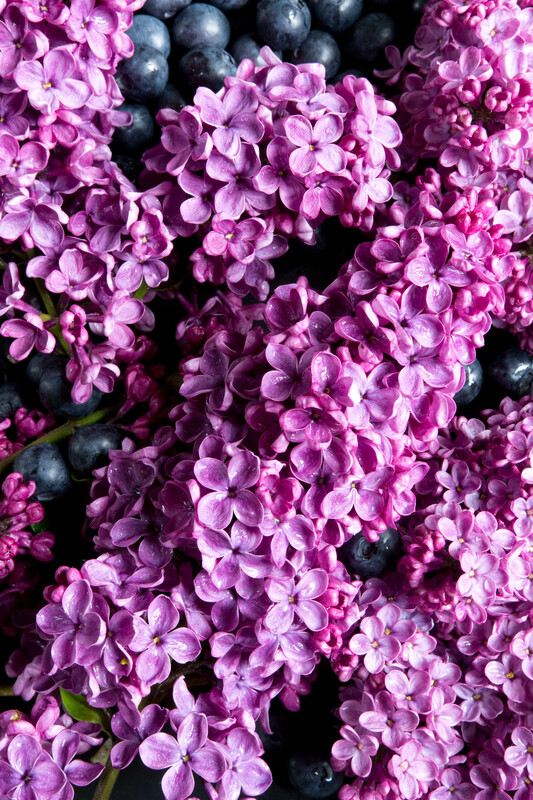 I love your recipe, but I have a question regarding the lilac flowers, Are you using the real flower? 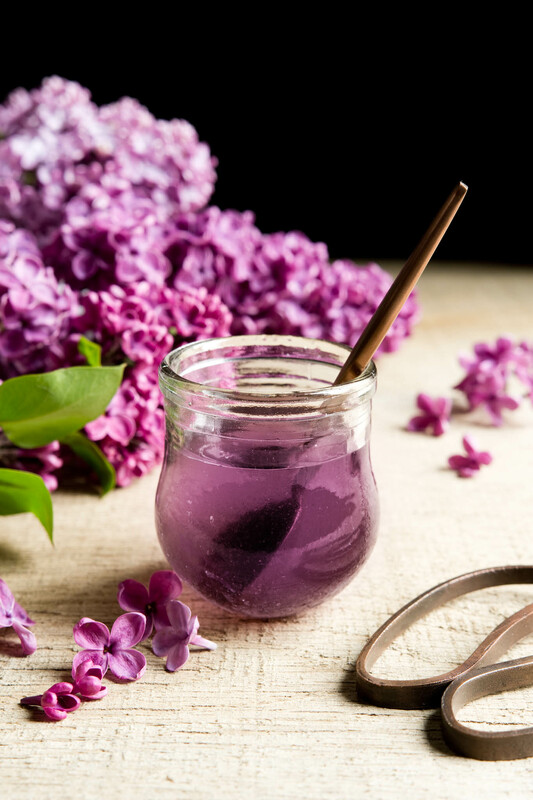 Yes, to make the syrup, I use real lilac flowers. The flowers give both colour and flavour. Let me know if you have any further questions. Hi! This is good for how many persons? and What can i substitute if there is no lilac flowers? The panna cotta recipe will make two serves of panna cotta. The syrup recipe makes enough syrup for 6-8 serves of panna cotta but this depends on how thick your syrup is when you take it off the stove. 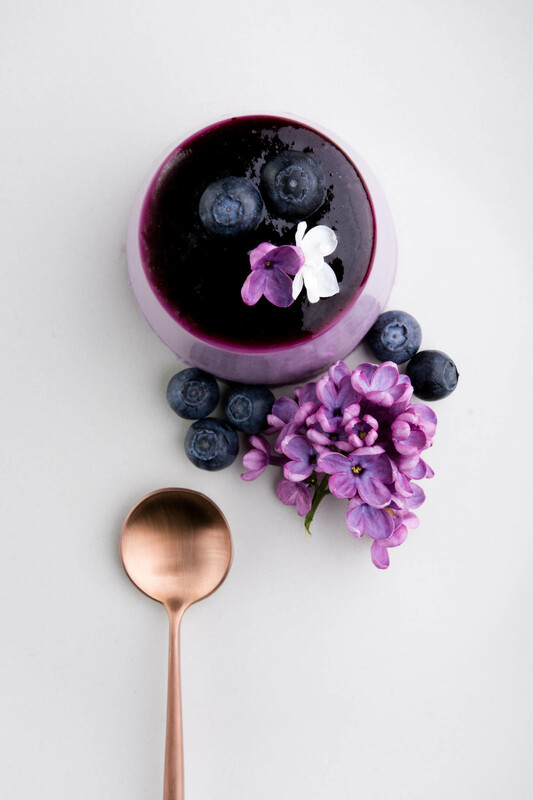 You can make the syrup using a different flower, chef Vincent Guiheneuf uses violets in his. They tend to be more readily available. If you would prefer not to use a flower at all, you can make the syrup without the flowers and use that in the recipe. 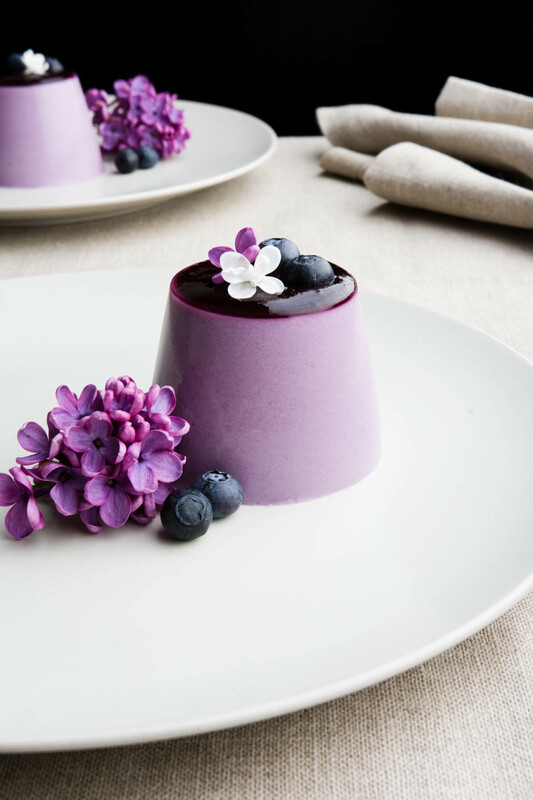 For plating, you can stick with purple flowers like violets, pansies or lavender. Or, you can choose any edible flower that you think will look nice. I use whatever is flowering (and edible) in my garden and arrange them into a small bouquet adjacent to the panna cotta. If you tell me where you are in the world I can suggest something that is in season. I hope that I’ve answered your questions, let me know if I need to clarify.